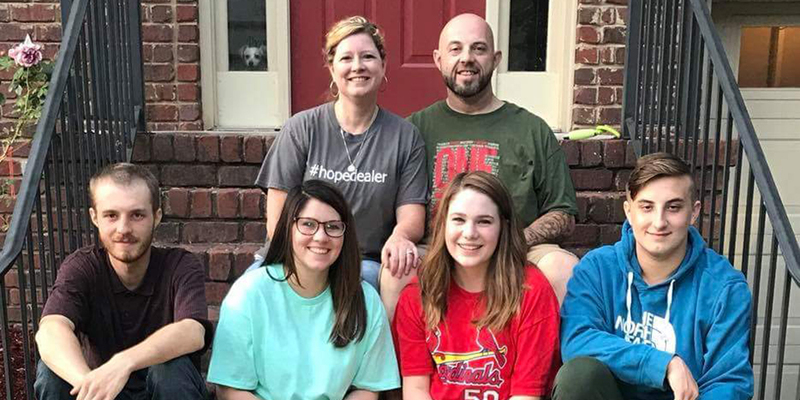 Vineyard Missions recently interviewed David Crim, a member of Inverness Vineyard Church in Birmingham, Alabama, after his trip to Nicaragua concerning the ins and outs of short-term missions trip re-entry into regular life for a blog series. He regularly travels to Nica and leads teams to minister or to work. Some political things going on while he was in-country and after his return home this time made for a more difficult re-entry for him and his wife, Christina. We had to edit down many of his replies for that blog piece. But because David’s answers provide some deeper looks into what a difficult re-entry can feel like, and he offers some encouragement for leaders and members who may be having a more difficult re-entry process, we are sharing the transcript of his entire interview here. Previous World Missions Experience: I have been actively involved in Nicaragua for 12 years now. I have traveled there at least once a year every year since 2006. Some years I went 2 - 3 times. My experiences on the ground have included everything from building construction, ministry and outreach in all forms, and providing soul care for missionaries. How long have you been home from your most recent trip? What letter grade would you assign to your most recent returning home experience? and WHY? There’s always a time of reflecting and thinking how things went or should have gone. There are times when we miss our friends, and often, we are trying to remember if we actually got to see everyone in the areas we served. This time, for the first time, I was not comfortable coming home and leaving my long-time friends and the people I care for deeply. I guess I’d grade it a D. The reason being is, in the week we were there protests were happening about the government’s lack of urgency when dealing with a rain-forest fire that was destroying families’ livelihoods. The protests were peaceful and the fires were extinguished eventually. We came home on the 15th of April, and on the 17th the government of Nicaragua announced a new tax plan for social security which would basically cost them more in taxes but pay out less in benefits. This did not sit well with the people, and the protests started back up, but this time the government countered. The national police were actually instructed to kill innocent protesters in some instances. Fast forward to now, several weeks later, and there are over 60 people dead (a couple of whom were family to some of our friends), and the government rescinded the tax plan, but it is too late for those who died and for those who lost a family member or friend. The people of Nica are fed up with their dictator Daniel Ortega and want him out. My wife and I try to keep in touch with our friends there daily and the turmoil has caused us many nights lying in bed crying together, and crying out to our Father to protect not just our friends, but all the people of Nica. The first couple of weeks were very emotionally draining, as I realized there is literally nothing I can do (I’m a fixer by nature and tend to want to make things better for people). This seems like a start to another long “revolution” for the people of Nica, and even now I am realizing that my prayers are what they need most until I can get back down there with aid and supplies. They need the Lord to comfort and guide them to take back their country. I have been reminded several times that this doesn’t surprise God and He is still in control. What other “emotional load” were you carrying during your re-entry time? Our oldest son just moved back home and we have been helping him get on his feet. Did you know about and prepare for re-entry before you left or began to transition home from Nicaragua? How? While still in country, we always try to talk through our trip and plan for the things we will do once back stateside to debrief. I have found that spending some time at the end of every day while in Nicaragua reflecting on and praying for the events of that day, helps us process. Whether it was doing construction or ministering to children, there are always things the Lord wants to show us. I’m a firm believer in taking time each day to lighten the overwhelming feeling that can come up when returning home. How long did it take for you to feel settled down back at home? My transition is different each time. Typically it takes about a week to get back to “normal” life at home, but as stated before, this time, almost five weeks later, we are still experiencing the remnants of this trip because of the civil unrest taking place. Our friends touch base with us often, and while this is good to stay in touch, it does bring those helpless feelings back to the forefront of our hearts and minds. That’s when I just have to pray and ask the Lord to do what only He can do. What if anything has surprised you about this particular re-entry? I guess it would be the often worrying about our friends and wondering if their daily needs are being met. What steps did you take, while in the throes of re-entry, to cope and care for your body and soul? I’m a verbal processor. I have to talk things out. So my wife and I take walks or drives to talk about life in general. We often come home from work, and the Lord has put the same thing on our hearts that day. We both have been praying over or meditating on the same things without each other knowing…..which is cool and lets us both know Jesus cares about the things we care about. How did your prayer life sound in the first two weeks you were home? More, Lord! Often I was speechless because of what is happening in Nicaragua, and I couldn’t put words to my prayers, but my Father knows my heart and sees my tears. I trust He knows best, even when it hurts and is hard. What changes has your missions experience brought into your life? Before my first trip in 2006 I was very narrow minded. I used to wonder if someone lived where there was no water why wouldn’t they move to be closer to water. I never thought about the geography, culture, or even what was important to them. Now I always want to try to see through their eyes - I want to know how and why someone thinks the way they do. I want to be relationally close enough to people so I can ask and be asked hard questions, so we can grow together. My hope now is that, no matter whether I’m in my local gas station or on a trip serving people around the world, I can be Christ-like and be His hands and feet. What do you see as contributing factors to the experience you have lived during this reentry process? The civil unrest in Nicaragua. What could friends do to help you transition back to life at home? I enjoy when people genuinely want to know how the trip went and ask details. I’m not much for small talk especially when I’m talking about something I’m passionate about. Do you have any advice for first-time short-termers?If possible, spend time with your team before ending up in a strange country with people and a culture you don’t know anything about. Monthly meetings are great and help people grow together as a unit. Ask lots of questions, even if they seem unimportant. Be flexible and forgiving when dealing with other cultures. If you are going to serve alongside missionaries who have been on the field for a while, take some time to serve them. They often get overlooked because they are there full time. Pray for them and their families, spend time getting to know them, and if you have the opportunity, give them a day off. Send them to dinner or a date night. Last but not least, always eat what is offered! The number one way to offend people around the world is to turn down food they have prepared for you. Thanks, David. We appreciate your open dialog with us and being willing to share in the midst of the process of coming home. Part 3: What Contributes to a Rough Re-Entry?